Just the other day, we told you that Israeli tech company Cellebrite said that it can now unlock all Apple iPhone models running up to iOS 11.2.6, which happens to be the last public release of the OS. The company's chief marketing officer, Jeremy Nazarian, recently told Forbes that there are good reasons to have this capability. The executive read some of these off as though he was reciting the list of plagues during a Passover sedar. He listed "homicide, crimes against children, drug gangs, major public safety threats in any community" as some of the benefits that the public reaps from the ability to crack open a locked iPhone. Nazarian made sure to explain that the process does not include listening in to one's phone calls. A court order needs to be obtained requesting the information as evidence needed to help build a case, or complete an investigation. 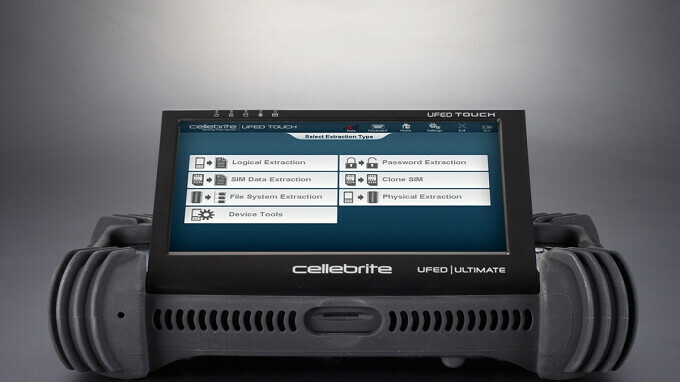 How Cellebrite unlocks the iPhone is unknown, of course. One guess made by Ryan Duff, director of cyber solutions at Point3 Security, is that the company discovered a flaw in the iPhone's Secure Enclave. Found inside the smartphone since the Apple iPhone 5s, this is a chip that is akin to the security director on the iPhone. The chip makes hackers have to wait longer times between passcode entries. A strong passcode is important for iPhone users to create. Duff says that if a flaw is how Cellebrite opens locked iPhone models, it would take them under 23 hours to guess a 6-number passcode. On the other hand, an alpha-numeric passcode using lowercase letters and numbers would take 5 and a half years to open, and a stronger passcode would be "uncrackable." It is extremely possible that this theory has nothing to do with the method used by Cellebrite to unlock the iPhone. And while we will probably never learn the method employed, the company just wants you to understand that the method was created in the name of public safety. This has to stop. It should be the constitutional right of the citizens to have total authority on their phones. And the courts should be obligated to disregard any information or 'evidence' obtained from phones unlocked without their owners' consent. Anyone, who possess the capability to bypass the security of a phone, can deceitfully download and/or send illegal or harmful data which can later be presented to the jury to frame the owner. Privacy is a privilege and it should be treated as such. I sincerely hope that Apple fix this vulnerability in the latest update. I believe you mean Privacy is a Right. Privileges can be revoked without due process. Personally, I think the line should be drawn that phone data be treated like anything else you keep inside your home behind locked doors (e.g.. a duly signed search warrant). Cops should not be allowed to hire private organizations to bypass security features to go on fishing expeditions without judicial oversight, nor should they be allowed to force a person to unlock their phone (fingerprint, facial recognition) to allow access, just as they cannot compel you to unlock your front door and invite them in. I agree as well. A warrant is the only way to get into a device. I would also say we now store IP on our devices that normally would be protected by the 5th amendment. That particular data should not be recoverable by any method. Why shouldn't they hire a private organisation? They hire locksmiths and safe crackers as well. And as long as they have the correct warrant, they are getting into your house and your phone. So your right is higher on a phone than let's say your house? They can search my entire house with a warrant and without my consent. But they can't search my phone? Sure. And what about those who's privacy has been violated for no justification and with no incriminating evidence against them? Should we people just bend over and take it or should we expect some kind of compensation after being (in some cases) publicly humiliated if front of our neighbors/co-workers? Just so you know...some of us value our privacy while at the same time are hiding nothing. Actually I have no issue with this, it’s a cat and mouse game. That’s how it has always been in the past and it pushes companies to keep working on securing their devices. Better that than passing some crappy law that outlaw everything. No such laws should exist imho. There is no right to privacy. As long as law enforcement has warrant they the can search any of your property against your will. Doesn't really matter anymore when you're dead lol. Why should an iPhone be more "private" than your email account data, your entire house (search warrant) or your bank account transactions ? It's stupid. Why shouldn't it? Since when did tech pundits become government dogs? Since the government asked them to. They are not dogs, they are tools used to enforce the law. Gotta get the bad guys somehow. This is just one more tool at their disposal. Do I trust the government to use it appropriately? Of course not. If you keep anything ultra sensitive on your phone...... well it your fault for being that naive. It’s great. It’s a safety feature but those who have done illegal things won’t like it. Where ever you see theft of something you see a Zionist behind it. Where ever you see the word Zionist being used, you see an insecure little racist behind it. Quite the contrary actually. Quite obvious you don’t like being called out.